GK Black Tracksuit Top Zipped Hoodie is a comfortable fit. This casual look can be used as every day wear as well as gym wear. The fleece lining offers a more comfortable fit. 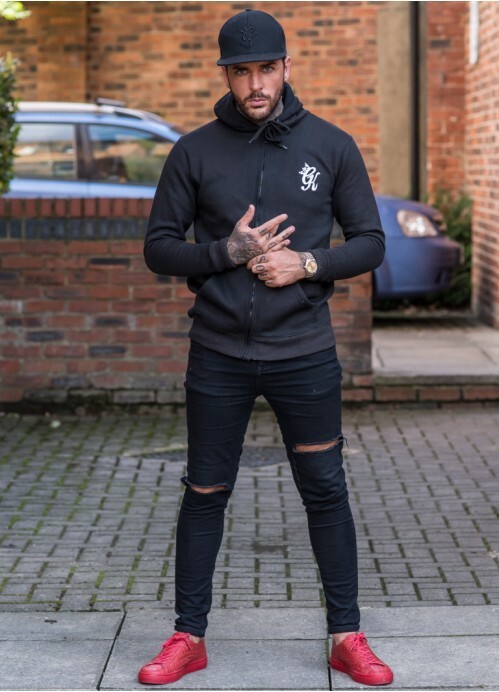 GK Black Tracksuit Top Zipped Hoodie features elasticated cuffs with a drawstring hood. The full zip through hoodie is the perfect slim fit. Classic design featuring the ‘GK’ logo embroidered on the left breast.